Crime Stoppers is based on the simple principle that for every crime committed, someone other than the criminal has information that would help solve the crime and encourages members of the community to provide anonymous information to assist law enforcement agencies in the fight against crime. By providing information through our secure phone line or online web form, Tipsters remain 100% anonymous and could be eligible for a cash reward of up to $2,000. Sudbury Rainbow Crime Stoppers is a charitable organization and relies on donations, grants and fundraising events to operate the organization and pay the Tipster Rewards. 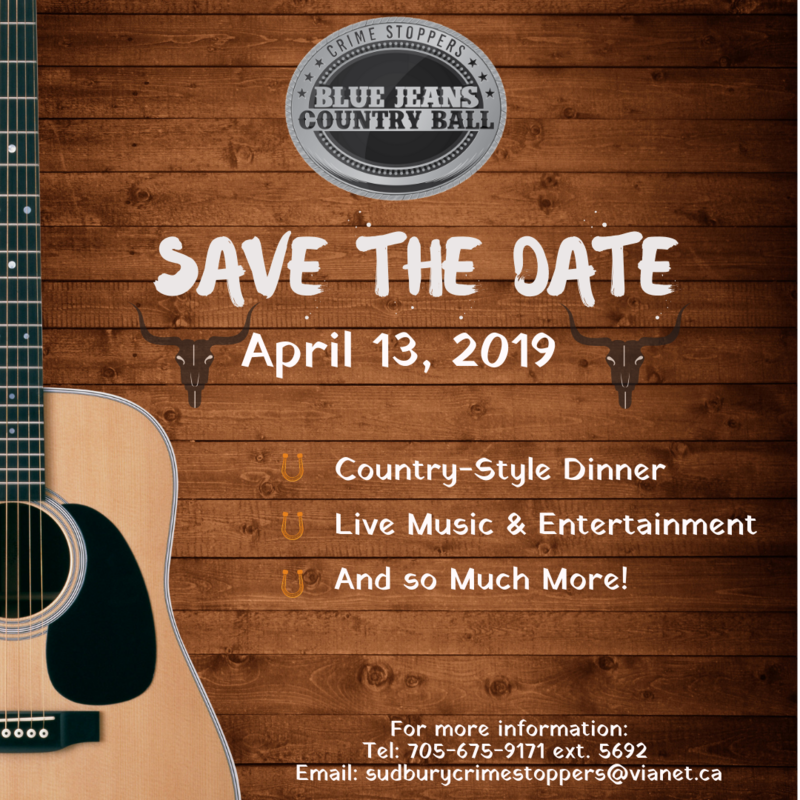 Sudbury Rainbow Crime Stoppers in partnership with KICX 91.7 FM will be holding our 4th annual Blue Jeans Country Ball fundraiser on April 13th at the Cambrian Student Centre. Come out and enjoy a country-style buffet with all the fixings, then dance the night away to great country music.